Glass Solutions uses a range of refined techniques which allows production of a diverse range of glassware and ensures every piece of glassware is produced to the highest quality. Accurate reproduction: Graphite tools and formers can be used to enable a part of glassware to be reproduced accurately time after time. Complex products: Dozens of small parts can be fused together to create complex glassware. 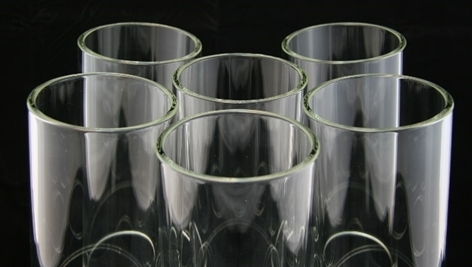 Durable glassware: Glass parts are annealed ensuring durable quality products. Quality testing: Polarising strain viewers for durability testing, vacuum pressure testing for jacketed glassware. Diverse glassware: A wide range of lathes, grinders, tools, dicers, annealing ovens etc. enables glass to be precisely cut, shaped, joined, bent and finished for an extremely diverse range of products.